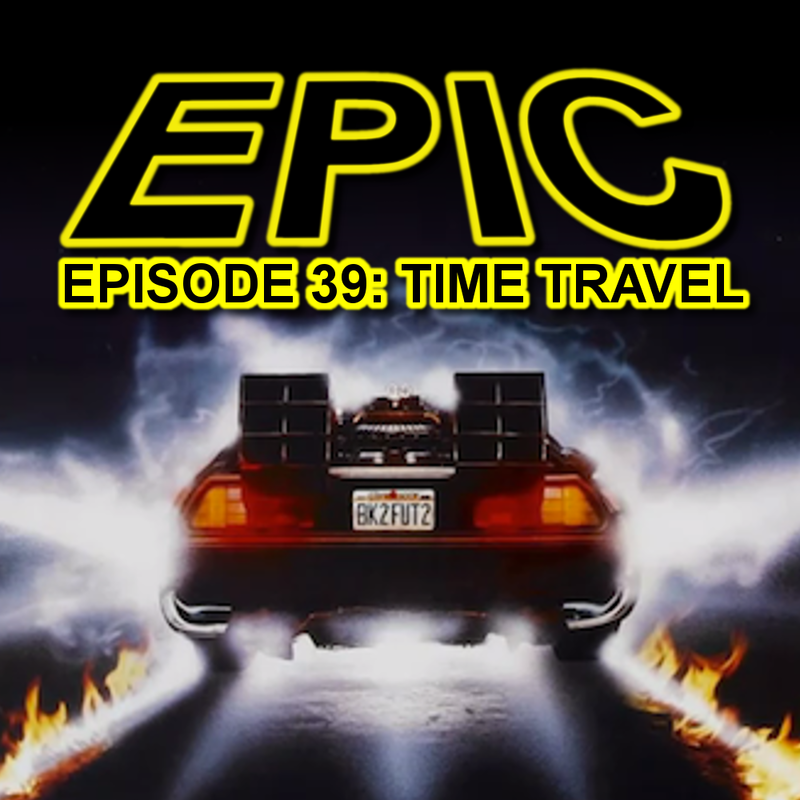 Epic is published by CHSR Broadcasting Inc.
All views expressed on this program are solely those of the individual and not necessarily that of CHSR Broadcasting or Geekloo. Big change between past future and current future predictions. past was about how much better things were going to be, and now it’s all about how everything is going to hell, and that the world might end. 2. It will be possible “for you to direct-dial any spot on earth, including the weather stations in Antarctica”. 4. “As for television, wall screens will have replaced the ordinary set; but transparent cubes will be making their appearance in which three-dimensional viewing will be possible. The Ladies Home Journal from December 1900, which contained a fascinating article by John Elfreth Watkins, Jr. “What May Happen in the Next Hundred Years”. During the Year 2000, we included Mr. Watkins research in our feature articles. We invite you to comment on these predictions, whether they have been realized in some way or how they can never be accomplished! In any event, we know you’ll enjoy these entries. Prediction #2: The American will be taller by from one to two inches. His increase of stature will result from better health, due to vast reforms in medicine, sanitation, food and athletics. He will live fifty years instead of thirty-five as at present – for he will reside in the suburbs. The city house will practically be no more. Building in blocks will be illegal. The trip from suburban home to office will require a few minutes only. A penny will pay the fare. Prediction #3: Gymnastics will begin in the nursery, where toys and games will be designed to strengthen the muscles. Exercise will be compulsory in the schools. Every school, college and community will have a complete gymnasium. All cities will have public gymnasiums. A man or woman unable to walk ten miles at a stretch will be regarded as a weakling. Prediction #4: There Will Be No Street Cars in Our Large Cities. All hurry traffic will be below or high above ground when brought within city limits. In most cities it will be confined to broad subways or tunnels, well lighted and well ventilated, or to high trestles with “moving-sidewalk” stairways leading to the top. These underground or overhead streets will teem with capacious automobile passenger coaches and freight with cushioned wheels. Subways or trestles will be reserved for express trains. Cities, therefore, will be free from all noises. Prediction #5: Trains will run two miles a minute, normally; express trains one hundred and fifty miles an hour. To go from New York to San Francisco will take a day and a night by fast express. There will be cigar-shaped electric locomotives hauling long trains of cars. Cars will, like houses, be artificially cooled. Along the railroads there will be no smoke, no cinders, because coal will neither be carried nor burned. There will be no stops for water. Passengers will travel through hot or dusty country regions with windows down. Prediction #6: Automobiles will be cheaper than horses are today. Farmers will own automobile hay-wagons, automobile truck-wagons, plows, harrows and hay-rakes. A one-pound motor in one of these vehicles will do the work of a pair of horses or more. Children will ride in automobile sleighs in winter. Automobiles will have been substituted for every horse vehicle now known. There will be, as already exist today, automobile hearses, automobile police patrols, automobile ambulances, automobile street sweepers. The horse in harness will be as scarce, if, indeed, not even scarcer, then as the yoked ox is today. Prediction #7: There will be air-ships, but they will not successfully compete with surface cars and water vessels for passenger or freight traffic. They will be maintained as deadly war-vessels by all military nations. Some will transport men and goods. Others will be used by scientists making observations at great heights above the earth. Prediction #8: Aerial War-Ships and Forts on Wheels. Giant guns will shoot twenty-five miles or more, and will hurl anywhere within such a radius shells exploding and destroying whole cities. Such guns will be armed by aid of compasses when used on land or sea, and telescopes when directed from great heights. Fleets of air-ships, hiding themselves with dense, smoky mists, thrown off by themselves as they move, will float over cities, fortifications, camps or fleets. They will surprise foes below by hurling upon them deadly thunderbolts. These aerial war-ships will necessitate bomb-proof forts, protected by great steel plates over their tops as well as at their sides. Huge forts on wheels will dash across open spaces at the speed of express trains of to-day. They will make what are now known as cavalry charges. Great automobile plows will dig deep entrenchments as fast as soldiers can occupy them. Rifles will use silent cartridges. Submarine boats submerged for days will be capable of wiping a whole navy off the face of the deep. Balloons and flying machines will carry telescopes of one-hundred-mile vision with camera attachments, photographing an enemy within that radius. These photographs as distinct and large as if taken from across the street, will be lowered to the commanding officer in charge of troops below. Prediction #9: Photographs will be telegraphed from any distance. If there be a battle in China a hundred years hence snapshots of its most striking events will be published in the newspapers an hour later. Even to-day photographs are being telegraphed over short distances. Photographs will reproduce all of Nature’s colors. Prediction #10: Man will See Around the World. Persons and things of all kinds will be brought within focus of cameras connected electrically with screens at opposite ends of circuits, thousands of miles at a span. American audiences in their theatres will view upon huge curtains before them the coronations of kings in Europe or the progress of battles in the Orient. The instrument bringing these distant scenes to the very doors of people will be connected with a giant telephone apparatus transmitting each incidental sound in its appropriate place. Thus the guns of a distant battle will be heard to boom when seen to blaze, and thus the lips of a remote actor or singer will be heard to utter words or music when seen to move. Prediction #11: No Mosquitoes nor Flies. Insect screens will be unnecessary. Mosquitoes, house-flies and roaches will have been practically exterminated. Boards of health will have destroyed all mosquito haunts and breeding-grounds, drained all stagnant pools, filled in all swamp-lands, and chemically treated all still-water streams. The extermination of the horse and its stable will reduce the house-fly. Prediction #12: Peas as Large as Beets. Peas and beans will be as large as beets are to-day. Sugar cane will produce twice as much sugar as the sugar beet now does. Cane will once more be the chief source of our sugar supply. The milkweed will have been developed into a rubber plant. Cheap native rubber will be harvested by machinery all over this country. Plants will be made proof against disease microbes just as readily as man is to-day against smallpox. The soil will be kept enriched by plants which take their nutrition from the air and give fertility to the earth. Prediction #13: Strawberries as Large as Apples will be eaten by our great-great-grandchildren for their Christmas dinners a hundred years hence. Raspberries and blackberries will be as large. One will suffice for the fruit course of each person. Strawberries and cranberries will be grown upon tall bushes. Cranberries, gooseberries and currants will be as large as oranges. One cantaloupe will supply an entire family. Melons, cherries, grapes, plums, apples, pears, peaches and all berries will be seedless. Figs will be cultivated over the entire United States. Prediction #14: Black, Blue and Green Roses. Roses will be as large as cabbage heads. Violets will grow to the size of orchids. A pansy will be as large in diameter as a sunflower. A century ago the pansy measured but half an inch across its face. There will be black, blue and green roses. It will be possible to grow any flower in any color and to transfer the perfume of a scented flower to another which is odorless. Then may the pansy be given the perfume of the violet. Prediction #15: No Foods will be Exposed. Storekeepers who expose food to air breathed out by patrons or to the atmosphere of the busy streets will be arrested with those who sell stale or adulterated produce. Liquid-air refrigerators will keep great quantities of food fresh for long intervals. Prediction #16: There will be No C, X or Q in our every-day alphabet. They will be abandoned because unnecessary. Spelling by sound will have been adopted, first by the newspapers. English will be a language of condensed words expressing condensed ideas, and will be more extensively spoken than any other. Russian will rank second. Prediction #17: How Children will be Taught. A university education will be free to every man and woman. Several great national universities will have been established. Children will study a simple English grammar adapted to simplified English, and not copied after the Latin. Time will be saved by grouping like studies. Poor students will be given free board, free clothing and free books if ambitious and actually unable to meet their school and college expenses. Medical inspectors regularly visiting the public schools will furnish poor children free eyeglasses, free dentistry and free medical attention of every kind. The very poor will, when necessary, get free rides to and from school and free lunches between sessions. In vacation time poor children will be taken on trips to various parts of the world. Etiquette and housekeeping will be important studies in the public schools. Prediction #18: Telephones Around the World. Wireless telephone and telegraph circuits will span the world. A husband in the middle of the Atlantic will be able to converse with his wife sitting in her boudoir in Chicago. We will be able to telephone to China quite as readily as we now talk from New York to Brooklyn. By an automatic signal they will connect with any circuit in their locality without the intervention of a “hello girl”. Prediction #19: Grand Opera will be telephoned to private homes, and will sound as harmonious as though enjoyed from a theatre box. Automatic instruments reproducing original airs exactly will bring the best music to the families of the untalented. Great musicians gathered in one enclosure in New York will, by manipulating electric keys, produce at the same time music from instruments arranged in theatres or halls in San Francisco or New Orleans, for instance. Thus will great bands and orchestras give long-distance concerts. In great cities there will be public opera-houses whose singers and musicians are paid from funds endowed by philanthropists and by the government. The piano will be capable of changing its tone from cheerful to sad. Many devises will add to the emotional effect of music. Prediction #20: Coal will not be used for heating or cooking. It will be scarce, but not entirely exhausted. The earth’s hard coal will last until the year 2050 or 2100; its soft-coal mines until 2200 or 2300. Meanwhile both kinds of coal will have become more and more expensive. Man will have found electricity manufactured by waterpower to be much cheaper. Every river or creek with any suitable fall will be equipped with water-motors, turning dynamos, making electricity. Along the seacoast will be numerous reservoirs continually filled by waves and tides washing in. Out of these the water will be constantly falling over revolving wheels. All of our restless waters, fresh and salt, will thus be harnessed to do the work which Niagara is doing today: making electricity for heat, light and fuel. Prediction #21: Hot and Cold Air from Spigots. Hot or cold air will be turned on from spigots to regulate the temperature of a house as we now turn on hot or cold water from spigots to regulate the temperature of the bath. Central plants will supply this cool air and heat to city houses in the same way as now our gas or electricity is furnished. Rising early to build the furnace fire will be a task of the olden times. Homes will have no chimneys, because no smoke will be created within their walls. Prediction #22: Store Purchases by Tube. Pneumatic tubes, instead of store wagons, will deliver packages and bundles. These tubes will collect, deliver and transport mail over certain distances, perhaps for hundreds of miles. They will at first connect with the private houses of the wealthy; then with all homes. Great business establishments will extend them to stations, similar to our branch post-offices of today, whence fast automobile vehicles will distribute purchases from house to house. Prediction #23: Ready-cooked meals will be bought from establishments similar to our bakeries of today. They will purchase materials in tremendous wholesale quantities and sell the cooked foods at a price much lower than the cost of individual cooking. Food will be served hot or cold to private houses in pneumatic tubes or automobile wagons. The meal being over, the dishes used will be packed and returned to the cooking establishments where they will be washed. Such wholesale cookery will be done in electric laboratories rather than in kitchens. These laboratories will be equipped with electric stoves, and all sorts of electric devices, such as coffee-grinders, egg-beaters, stirrers, shakers, parers, meat-choppers, meat-saws, potato-mashers, lemon-squeezers, dish-washers, dish-dryers and the like. All such utensils will be washed in chemicals fatal to disease microbes. Having one’s own cook and purchasing one’s own food will be an extravagance. Prediction #24: Vegetables Grown by Electricity. Winter will be turned into summer and night into day by the farmer. In cold weather he will place heat-conducting electric wires under the soil of his garden and thus warm his growing plants. He will also grow large gardens under glass. At night his vegetables will be bathed in powerful electric light, serving, like sunlight, to hasten their growth. Electric currents applied to the soil will make valuable plants grow larger and faster, and will kill troublesome weeds. Rays of colored light will hasten the growth of many plants. Electricity applied to garden seeds will make them sprout and develop unusually early. Prediction #25: Oranges will grow in Philadelphia. Fast-flying refrigerators on land and sea will bring delicious fruits from the tropics and southern temperate zone within a few days. The farmers of South America, South Africa, Australia and the South Sea Islands, whose seasons are directly opposite to ours, will thus supply us in winter with fresh summer foods, which cannot be grown here. Scientist will have discovered how to raise here many fruits now confined to much hotter or colder climates. Delicious oranges will be grown in the suburbs of Philadelphia. Cantaloupes and other summer fruits will be of such a hardy nature that they can be stored through the winter as potatoes are now. Prediction #26: Strawberries as large as apples will be eaten by our great great grandchildren for their Christmas dinners a hundred years hence. Raspberries and blackberries will be as large. One will suffice for the fruit course of each person. Strawberries and cranberries will be grown upon tall bushes. Cranberries, gooseberries and currants will be as large as oranges. One cantaloupe will supply an entire family. Melons, cherries, grapes, plums, apples, pears, peaches and all berries will be seedless. Figs will be cultivated over the entire United States. Prediction #27: Few drugs will be swallowed or taken into the stomach unless needed for the direct treatment of that organ itself. Drugs needed by the lungs, for instance, will be applied directly to those organs through the skin and flesh. They will be carried with the electric current applied without pain to the outside skin of the body. Microscopes will lay bare the vital organs, through the living flesh, of men and animals. The living body will to all medical purposes be transparent. Not only will it be possible for a physician to actually see a living, throbbing heart inside the chest, but he will be able to magnify and photograph any part of it. This work will be done with rays of invisible light. Prediction #28: There will be no wild animals except in menageries. Rats and mice will have been exterminated. The horse will have become practically extinct. A few of high breed will be kept by the rich for racing, hunting and exercise. The automobile will have driven out the horse. Cattle and sheep will have no horns. They will be unable to run faster than the fattened hog of today. A century ago the wild hog could outrun a horse. Food animals will be bred to expend practically all of their life energy in producing meat, milk, wool and other by-products. Horns, bones, muscles and lungs will have been neglected. Prediction #29: To England in Two Days. Fast electric ships, crossing the ocean at more than a mile a minute, will go from New York to Liverpool in two days. The bodies of these ships will be built above the waves. They will be supported upon runners, somewhat like those of the sleigh. These runners will be very buoyant. Upon their under sides will be apertures expelling jets of air. In this way a film of air will be kept between them and the water’s surface. This film, together with the small surface of the runners, will reduce friction against the waves to the smallest possible degree. Propellers turned by electricity will screw themselves through both the water beneath and the air above. Ships with cabins artificially cooled will be entirely fireproof. In storm they will dive below the water and there await fair weather. The Epic travel through time! In a forward direction and at the same rate as normal time. For about 28 minutes. 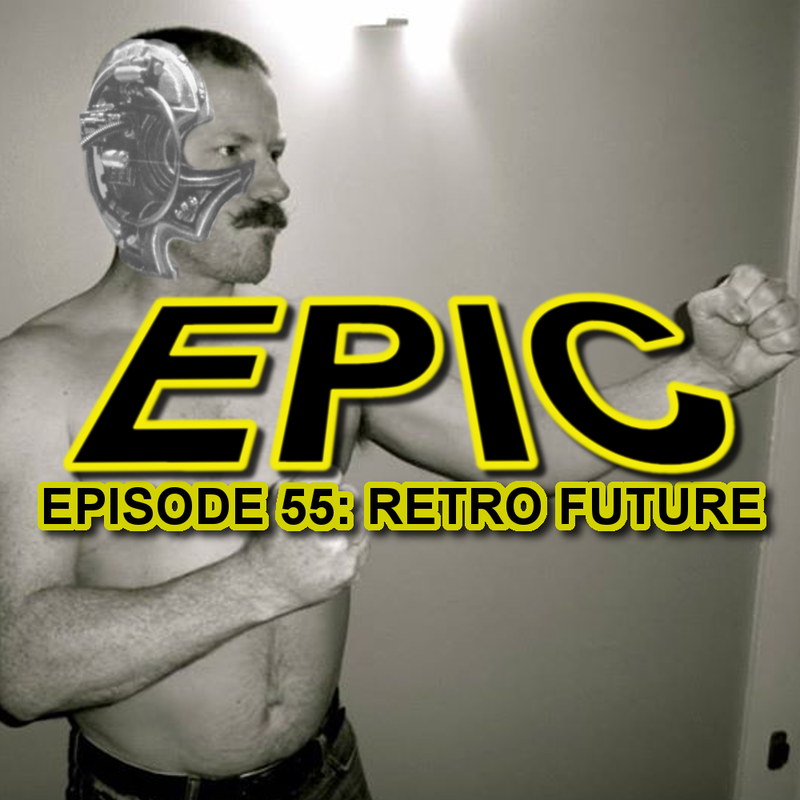 Marc, Joel, and Rich merge their top 5 lists to come up with a top 5 best villain list. This was our first episode recorded in my (Marc’s) new home studio. The room was built in the basement over the course of a month. It’s still missing a few creature comforts. Like a door. 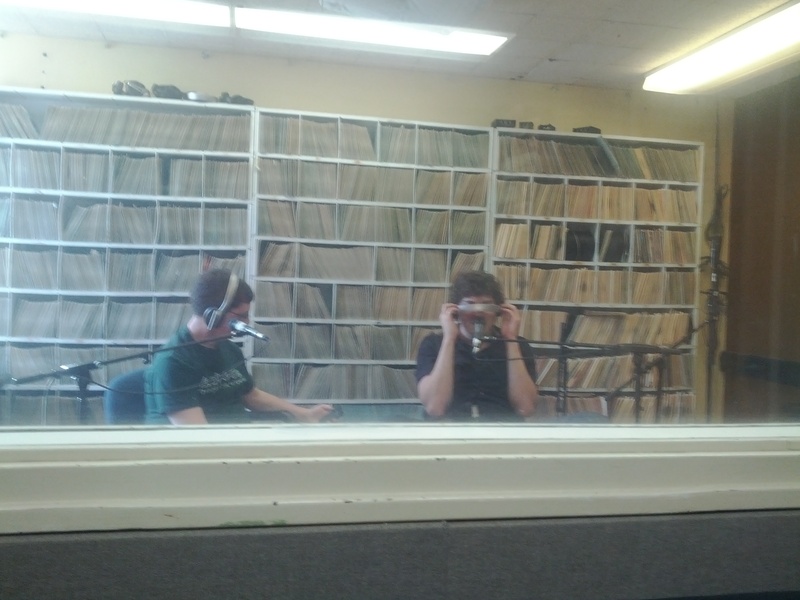 But, it allows us to be a bit more relaxed than in the CHSR studios we have been recording in previously. The CHSR studios are designed for music bands. Consequently, it contains much more sophisticated equipment and requires Joel and Richard to be in a separate room while we’re recording. Things are a bit more relaxed when we can all be in the same room and have some food and refreshments while we record. Due to a small miscommunication in our email chain, we didn’t quite sync up the scope of the choices. – Amanda Waller, Justice League United (Cartoon Series), Season 3 Episode 3. So, it turns out the fifth movie was, “The Final Frontier” and the sixth was, “The Undiscovered Country”. And yeah, the fifth was pretty terrible in my opinion. And the big catastrophe that caused his planet to become unstable was the destruction of the sixth planet in the system. Hard to find good youtube video, but this one pretty much sums it up. It’s from FF: Dissidia. Halloween 2011. 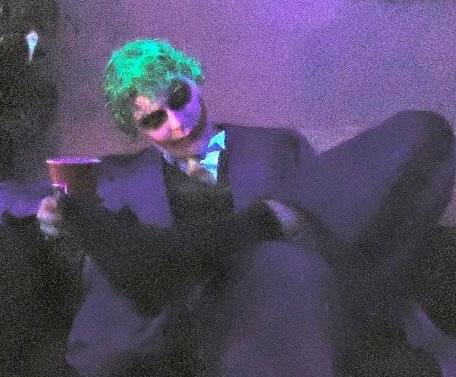 Joel dressed up as a very convincing (and creepy) Joker. 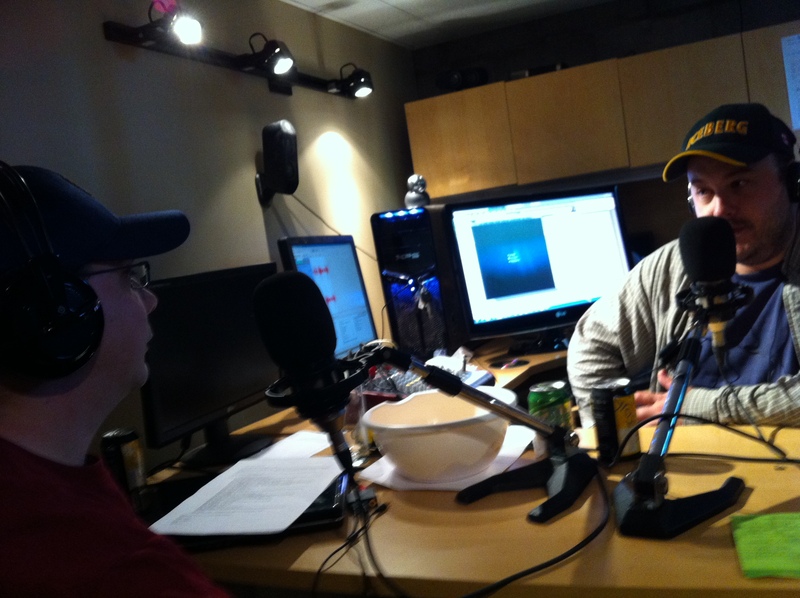 Joel snapped this one with his iphone while were recording this episode. Joel, Marc, and Richard explore some of the predictions made from our favourite science fiction movies, writers, and thinkers of the past. We touch on the Internet, Plasma Blades, Warm Jackets, Tablets, Teleporters, and more. The introduction in this episode was only loosely scripted, most of it was ad-libbed in the studio. We had a little too much fun with it and went on for a full 10 minutes, so it had to be cut down considerably. This wasn’t easy considering most of the lines overlap. Correction: Marc mentioned that this was recorded in 63, it was actually recorded in 1964. I couldn’t find the clip that was spoken about in the episode, but here is a similar one. Warning: The following youtube clip is a bit graphic. Here’s an interesting video with Michio Kaku on the subject. Clearly the information we had on hand was a bit dated. Here’s a short clip from Star Trek: DS9. The data pads are used all the time in Star Trek, but this is one of the few times in which one of these pads is being used very similarly to a modern day tablet. Note the gesture interface. This could very easily be an app on Google Play or the IPad. Here’s an article on how the holo deck worked. Here’s an article on the Moriarty character on Star Trek. I would have done the same..
Did we really walk on the moon? The myth busters debunk ALL the arguments that it was a hoax..
Also, here’s the Milwaukee jacket I was talking about. Back to the Future: Self-lacing shoes. 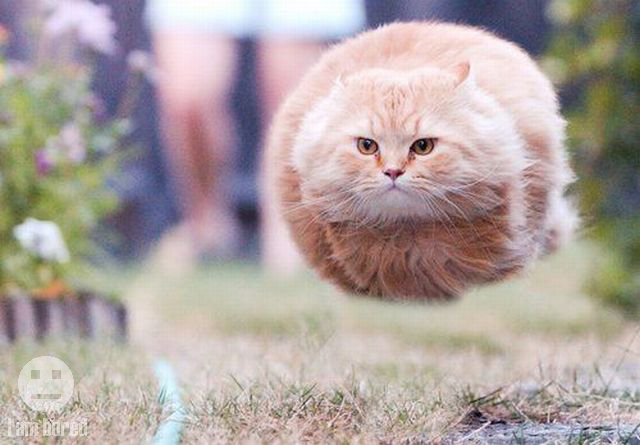 MSNBC Reports that Nike has filed patent for these things… Might not be far off. An article on the auction we were talking about. And here’s the prototype self lacing shoes I found. The guy who made it has a website here. I did an entire article on this that can be found here. I won’t include any links.. Most people know what these are.. This is the picture you can hear me taking at the end of the podcast.